The Oshawa Historical Society was established to maintain and preserve the history of Oshawa. Oshawa, Ontario is a city of 149,000 residents, located approximately 60 kilometres east of Toronto. In accordance with this objective, the Society encourages the study and research of the history of Oshawa by: keeping an accurate account of the historical, architectural and archaeological heritage, promoting public interest in Oshawa’s history, and supporting the Museum and Archives in housing artifacts and written records of historical importance. Members of the Oshawa Historical Society can assist in the preservation of Oshawa’s History by becoming involved in the Society’s activities and events. Members of the Society are provided with early notice of historical tours and other community events; are given free admission to the Oshawa Museum and a 15% discount at the Oshawa Museum Shop. From September until May, members of the Society are invited to attend monthly meetings addressing a variety of heritage topics and other historical presentations. In addition to meeting other people with the same interests, members have first access to original research and articles on Oshawa’s history in the quarterly newsletter, Historical Happenings. The Oshawa Historical Society began when citizens of Oshawa became concerned about the condition of three historic homes in Lakeview Park. They realized that to preserve Oshawa’s history, a museum was needed and a historical society should be organized. On May 6, 1957, Alderman Walter Lane placed a motion before City Council. The motion was “that a Special Committee be appointed by the Mayor to investigate the feasibility of the establishment of a Museum for the City of Oshawa and to recommend a course of action.” Mayor Naylor appointed a Special Committee consisting of Aldermen Bint, Lane, Harman and Thomas. On May 27, 1957, this Committee agreed that the instituting and administering of a museum is generally done by a Historical Society, and that the formation of a society should be established. It was decided that the name would be “The Oshawa and District Historical Society” because the Townships of Darlington,Whitby and East Whitby figured prominently in the history of the area. The first Society meeting was on Thursday November 7, 1957, and was held in the auditorium of the McLaughlin Public Library — approximately 50 people attended this meeting. The first president chosen for the Society was Mrs. Verna Conant who held this position until 1962. The first vice-president was M. McIntyre Hood. Membership fees at this time were $25.00 for life membership; $5.00 for sustaining membership; and $1.00 for an annual membership. At this first meeting, 36 people joined as members of the Historical Society. It was also decided at this meeting that the Oshawa and District Historical Society would become affiliated with the Ontario Historical Society to qualify for Provincial grants — the fee to join and become incorporated was $3.00 per year. The first project for the Society was to convert Henry House located in Lakeview Park into a museum, which was accomplished in 1960. Four year later, Robinson House was slated for destruction. The Historical Society managed to save the house, but unfortunately the money and time involved was much more than the Society had anticipated. It took another five years before Robinson House was ready for tours. 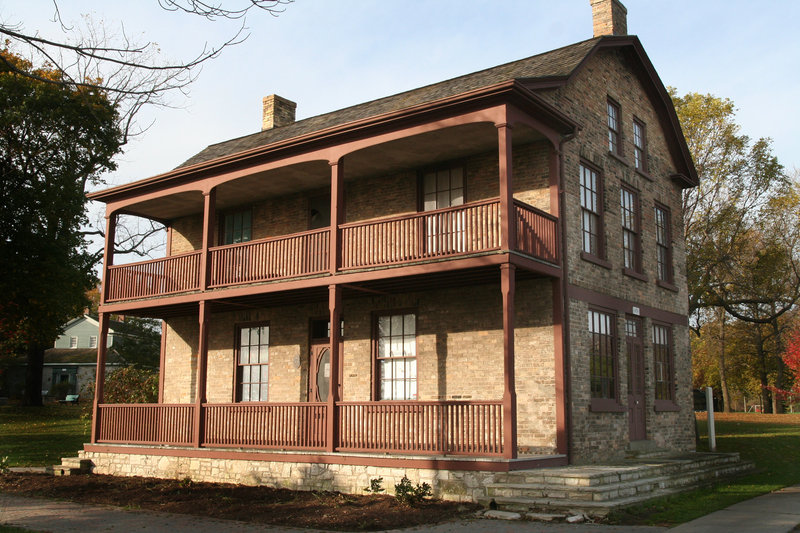 During the renovation of Robinson House, the Historical Society became involved in an archaeological excavation at Rossland and Thornton Roads. This special project at the MacLeod Site took place from 1967 until 1973. Guy House was the last of the homes in Lakeview Park to be saved from the wrecking ball. Once again the Historical Society rallied and raised money to renovate the building, and in 1985 Guy House opened as the last home which comprises the Oshawa Museum. In 1996, the Oshawa Historical Society consisted of approximately 150 members. It also employed 3 full-time and 4 part-time employees who were responsible for the upkeep of the buildings, conducting tours and managing what was then known as the Oshawa Sydenham Museum and Community Archives. In 1998 the name of the museum was changed to the Oshawa Community Museum and Archives, and the museum underwent a final name change in 2016, known simply as the Oshawa Museum. As of 2016, the Oshawa Historical Society consisted of 170 members, with five full-time staff members, one part-time staff member and a number of occasional staff, our Visitor Hosts; OM Staff are responsible for the upkeep of the buildings, conducting tours and managing the Oshawa Museum.